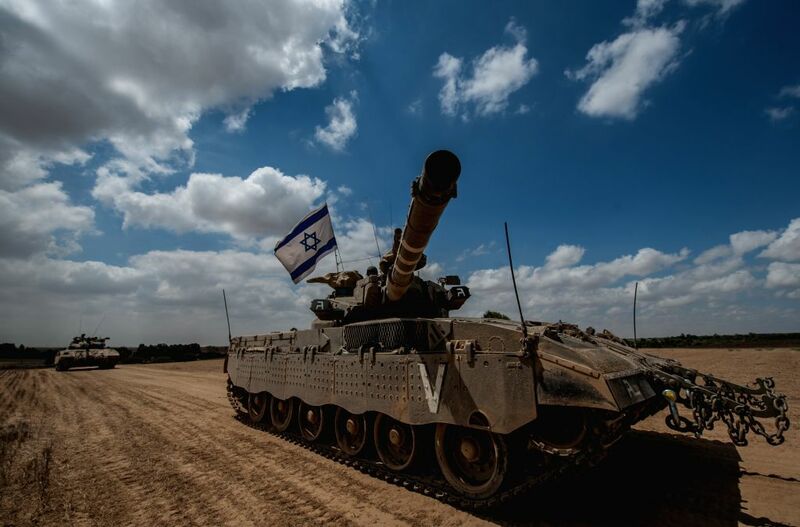 GAZA BORDER, July 18, 2014 - An Israeli Markava tank waits for orders in the field in southern Israel near the border with Gaza, on July 18, 2014, the 11th day of Operation Protective Edge. Israeli Prime Minister Benjamin Netanyahu said on Friday that the Israel Defense Forces (IDF) is ready to expand the ground operation in the Gaza Strip if needed. 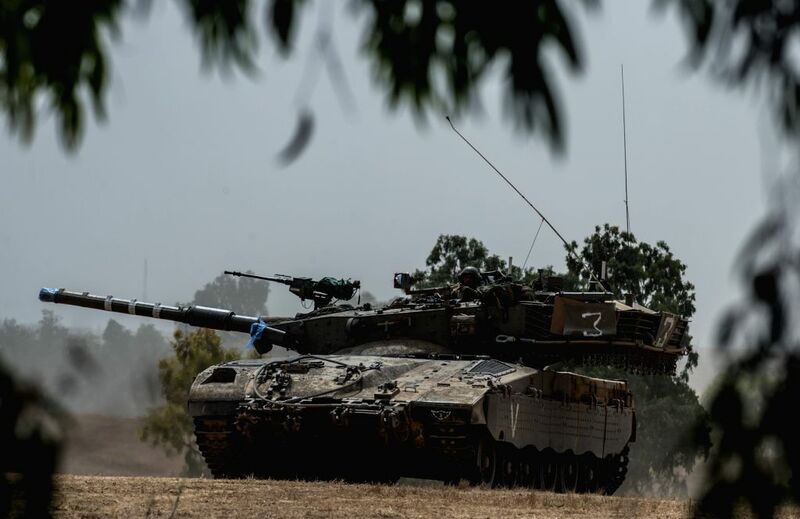 Israeli Markava tanks wait for orders in the field in southern Israel near the border with Gaza, on July 18, 2014, the 11th day of Operation Protective Edge. 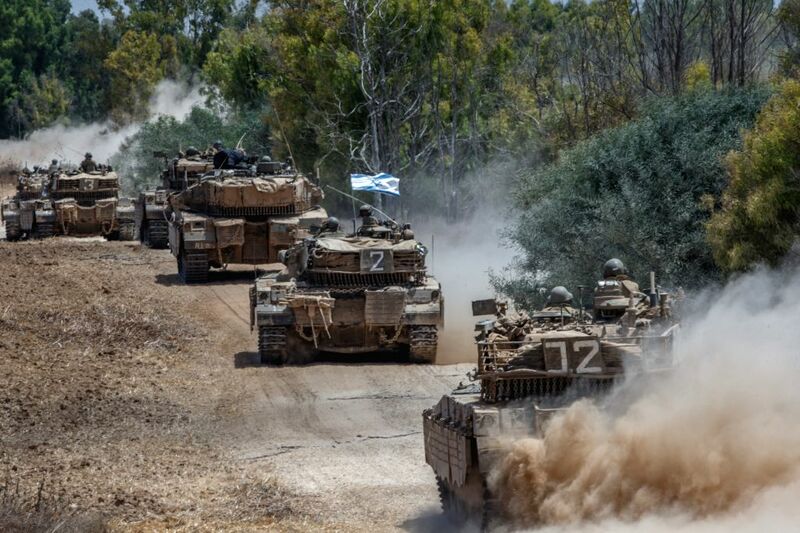 Israeli Markava tanks run in southern Israel near the border with Gaza, on the 11th day of Operation Protective Edge, on July 18, 2014. 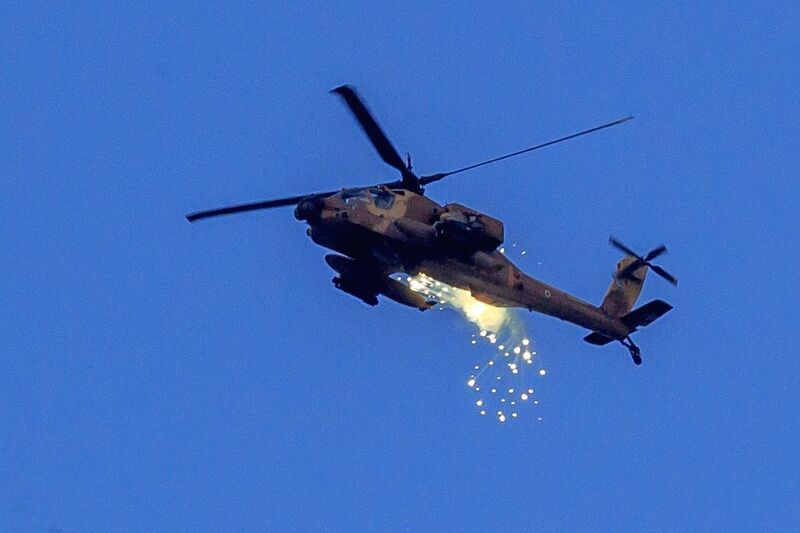 An Israeli Apache helicopter launches flares in the air over southern Israel near the border with Gaza, on the 11th day of Operation Protective Edge, on July 18, 2014. 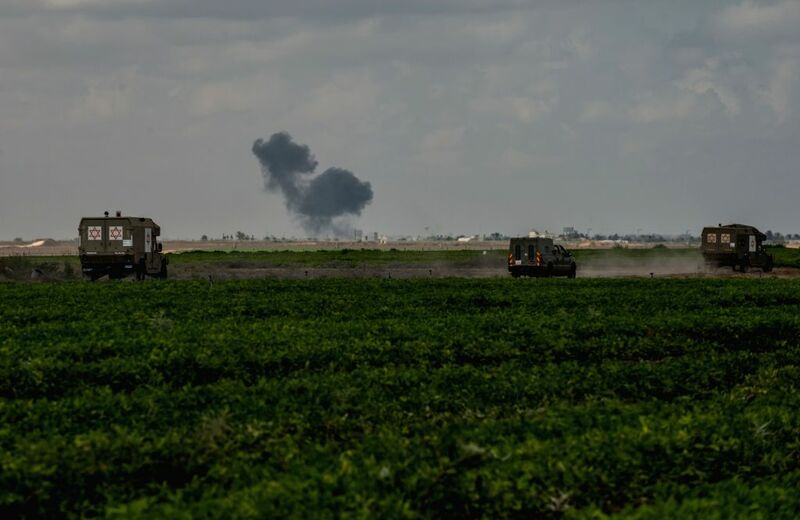 Smoke rises due to an Israeli air strike in the northern Gaza Strip, on July 18, 2014, the 11th day of Operation Protective Edge. 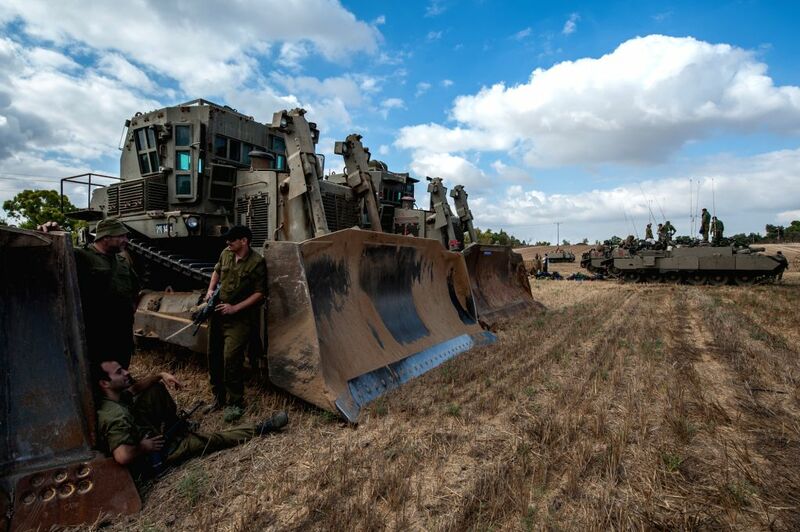 Israeli soldiers gather around armored vehicles in the field in southern Israel near the border with Gaza, on July 18, 2014, the 11th day of Operation Protective Edge. 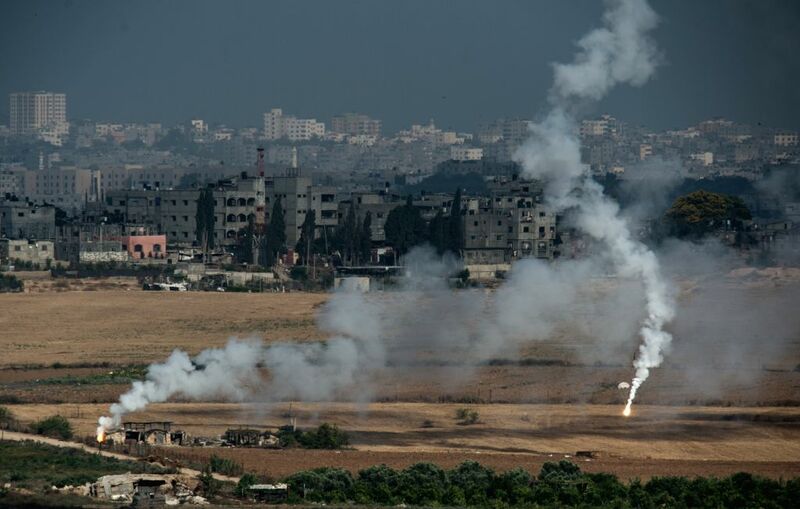 Flares fired by Israeli artilleries landing on northern Gaza Strip are seen from Sderot, an Israeli town near the border with Gaza Strip, on July 18, 2014, the 11th day of Operation Protective Edge. 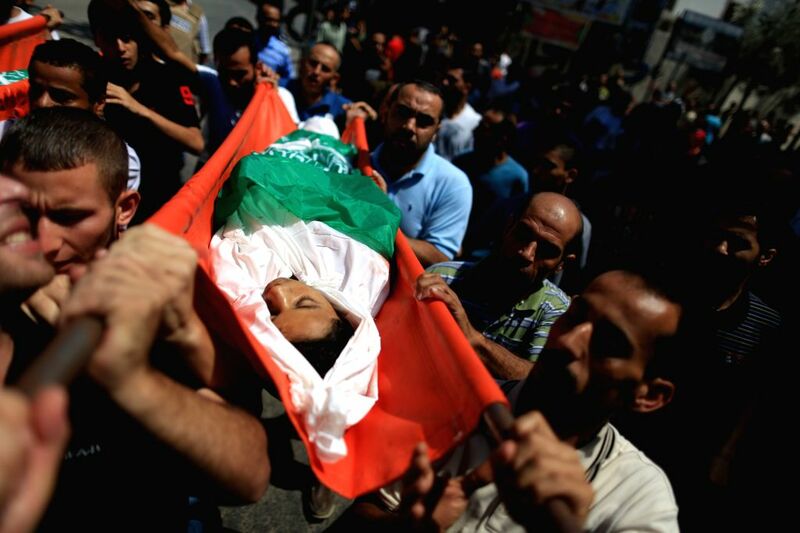 People carry the body of Walaa Abu Musallam, a Palestinian girl who was killed along with her two brothers in an Israeli tank attack, during their funeral in northern Gaza strip town of Beit Lahia, on July 18, 2014. 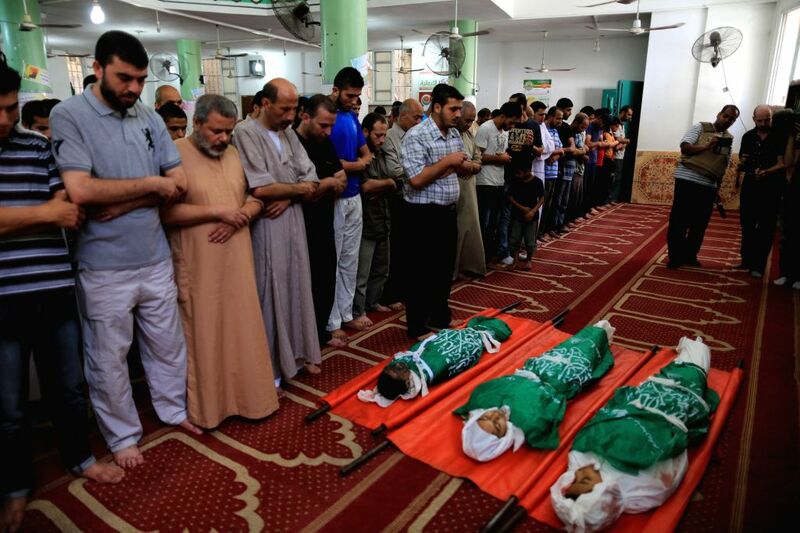 People pray over the bodies of three siblings of the Abu Musallam family, who were killed in an Israeli tank attack, during their funeral in northern Gaza strip town of Beit Lahia, on July 18, 2014.